Becker Transport, established in 1965 (a subsidiary of MDB Group), is a specialised logistics and warehousing company. 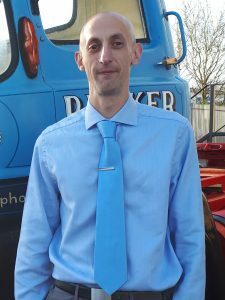 Wayne Swietoslawski, the Health Safety and Quality Manager, a recent addition to the business, is looking to capitalise on the benefits FORS has provided the company through its environmental, quality and safety driven systems as a way forward for Becker Transport. Based in Stevenage, Becker Transport supply specialist logistics and warehouse services for the education/academic, IT, construction, scientific, medical, aerospace and defence industry sectors. John Stirrup, Managing Director, explains, Becker Transport have achieved reductions in CO2 emissions and lowered NOx emissions every year since it became FORS registered through using FORS tools and systems. We came across FORS as a contractual requirement whilst working on MACE Construction and Crossrail projects. We realised it would help us to achieve best practice and benefit us by cementing our existing ISO 9001:2015 and ISO 14001:2015 certifications and maintaining our drive for continuous improvement. Becker Transport passed their initial audit first time round in 2013. Once accredited this showed us many benefits relating to efficiency, safety and good practice, in addition to helping us secure contracts. From here we were encouraged to do our Silver Assessment in November 2013 and finally Gold in February 2015. Once we were Bronze accredited, we really made the most of the benefits on offer, in particular the Toolkits to keep our drivers and staff up to date on requirements. The benefits of the FORS Toolbox Talks along with the on-line e-learning portal have helped with improving knowledge of our driver’s awareness of vulnerable drivers, how to drive efficiently in cities and parking and loading all of which have helped to reduce incidents, emissions and PCNs. Once we were Bronze accredited, we decided that we should progress to Silver fairly quickly as we had recently achieved IS0 9001 and 14001 certification and we felt many of the systems were easily transferable between the two standards, one supporting the other, in particular relating to operational improvement and processes, training and KPIs. To minimise the risk of incidents as a result of underlying health problems or diagnosis of a condition all drivers as a part of their induction are required to complete a health and fitness review form and then again annually at their annual review. Currently Becker Transport utilises agencies to help with recruitment of drivers. Going forward we will review other strategies at our management review meetings to including the possibility of adding a careers/recruitment page to our website detailing vacancies and roles available within the business. We have already had some success with recruiting using an agency having recently taken on a new drivers mate with a view to having a programme in place to enable development into a fully qualified driver. Noise assessments are carried out for our depots and on-site activities including loading, driving, parking and vehicle washing, ensuring no residential areas or other businesses are likely to be affected. Where possible out of hours work is avoided away from site unless specified for time sensitive deliveries for customers. At Becker Transport we review the possibility of Modal shift and alternative vehicles annually to consider if there are any practical ways of achieving this. 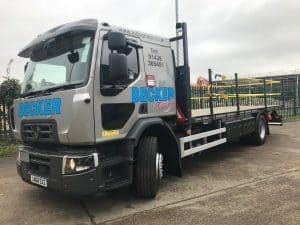 Due to the specialised nature of our services, this is not a practical solution, however, Becker currently has a five-year plan in place with regard to purchasing new vehicles, in that they will all be Euro VI category and use AdBlue to reduce the levels of harmful gasses being emitted. In order to make continual fleet improvements we will be continuing our practice of purchasing Euro VI vehicles to replace our older vehicles, and monitoring driver fitness and health, as this will help our company to continue reducing emissions and PCNs that may be the result of health-related issues. Becoming Gold accredited has clearly helped Becker Transport demonstrate through good record keeping, to achieve demonstrably better fuel efficiency and given the company full confidence in the quality and safe conduct of our drivers through training and health checks. Likewise, FORS has ensured our vehicles are kept compliant safe with the way forward only looking better as the systems in place encourage continual improvement.